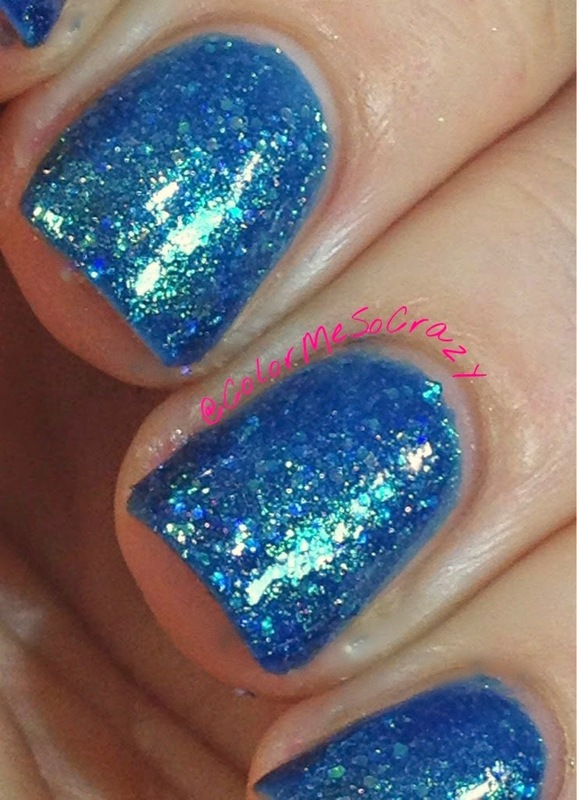 Muse can be best described as a "blue raspberry holographic fizz with a subtle vein of gold". 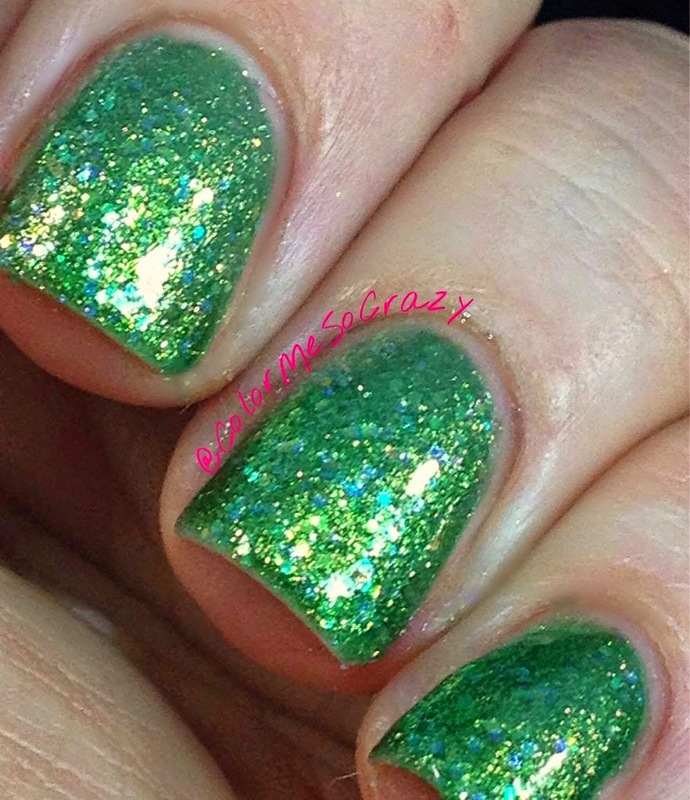 This shade features the exclusive liquid-metal holographic jelly formula with 2 coat coverage. Stassi can be best described as a "brilliant citron green with a gold metallic glaze and holographic finish". 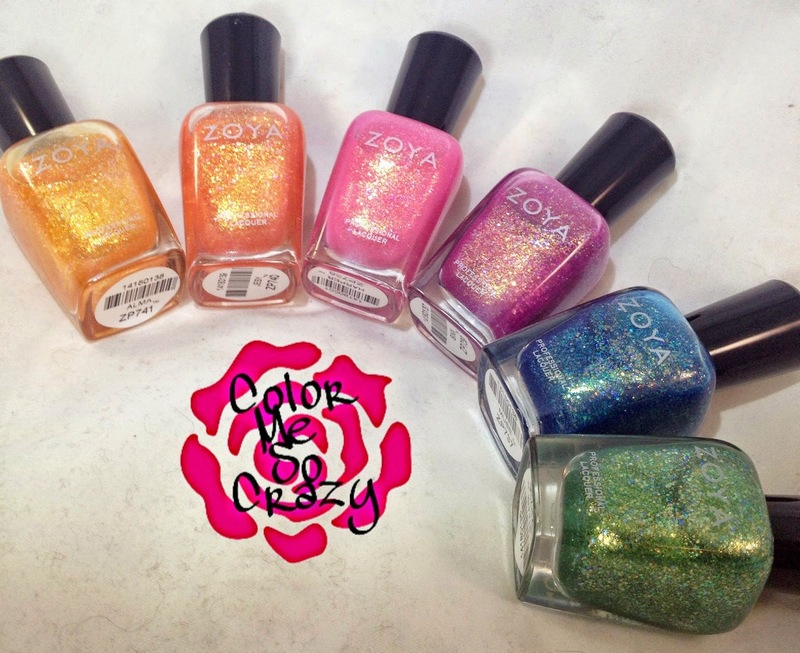 Featuring the exclusive liquid-metal holographic jelly formula with 2 coat coverage. While green is not my color, again this is really pretty. 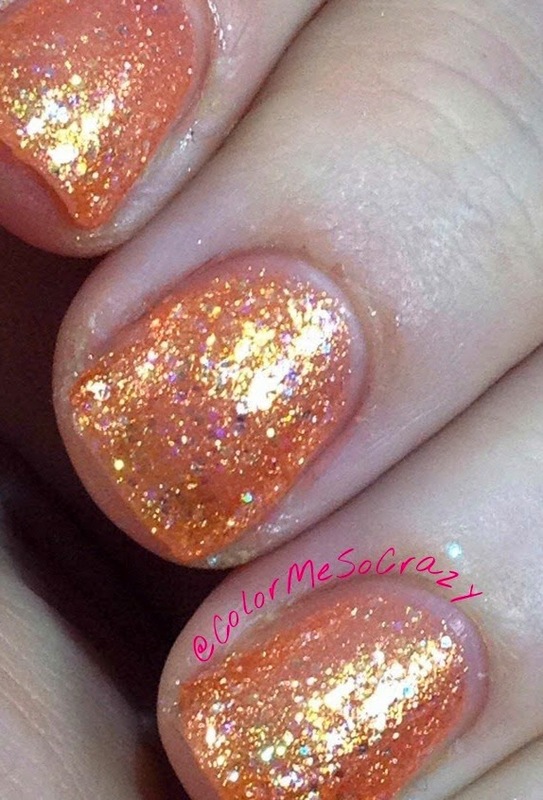 I think the liquid-metal holo jelly is what really softens these colors. 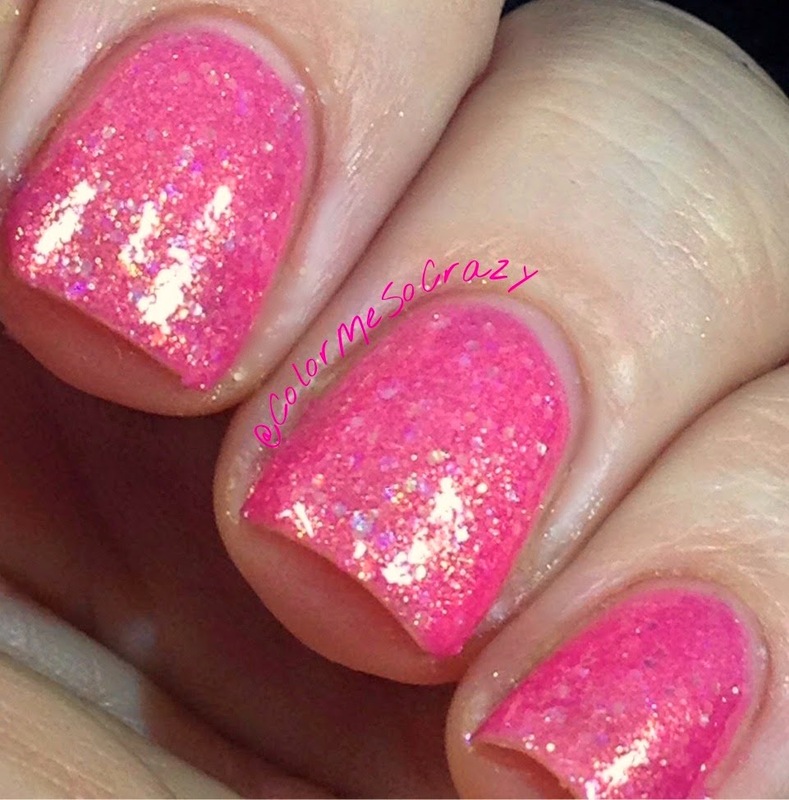 Harper can be best described as a "cotton candy pink with a spun gold shimmer". Featuring the exclusive liquid-metal holographic jelly formula, this shade is opaque in 2 coats. This is such a fresh summer color. If you are looking to get creative, this would look awesome as an accent color with Kitridge from the Tickled Collection! Binx can best be described as a "spicy orchic purple dappled with gold metallic and holo sparkles. 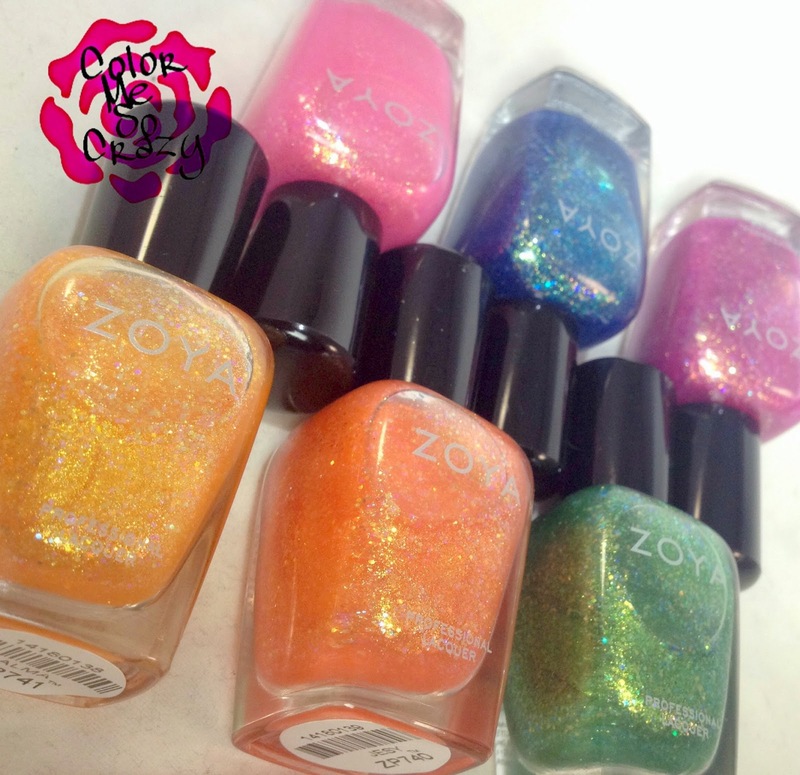 The exclusive liquid-metal holographic jelly formula is full-coverage in 2 coats". 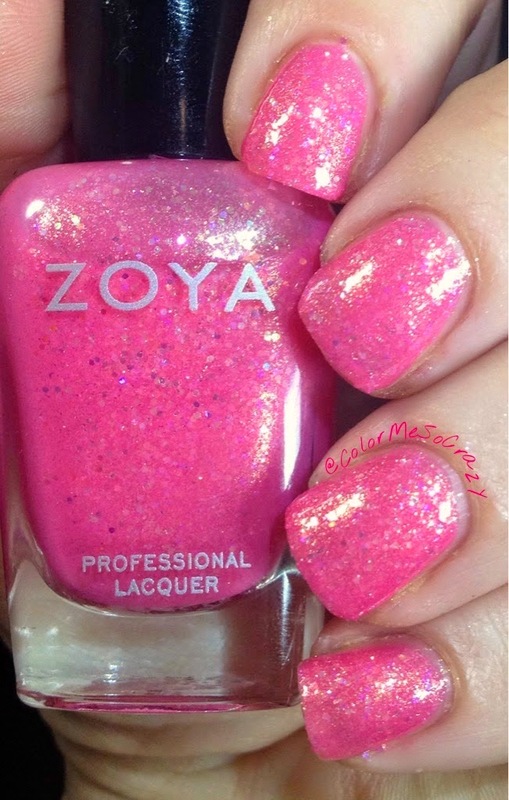 I love, love, love this color. It is my favorite out of the entire collection. This is almost a fucshia with GORGEOUS golden flakies everywhere. Hands down favorite! 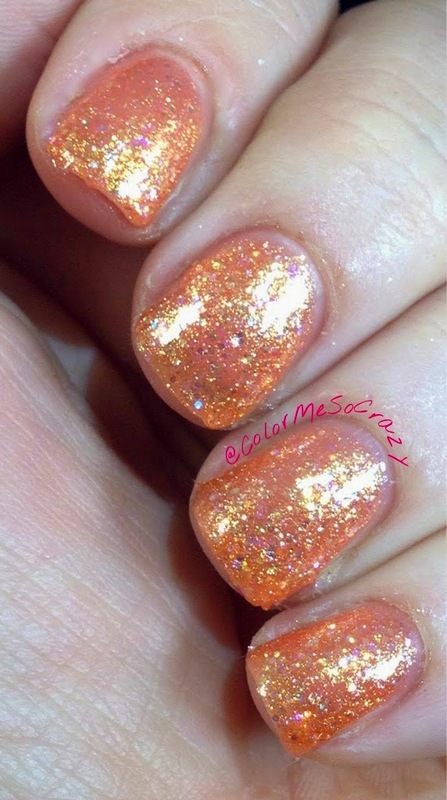 Jesy can be best described as a "full coverage, firey coral orange metallic holo featuring the exclusive liquid-metal holographic jelly formula". 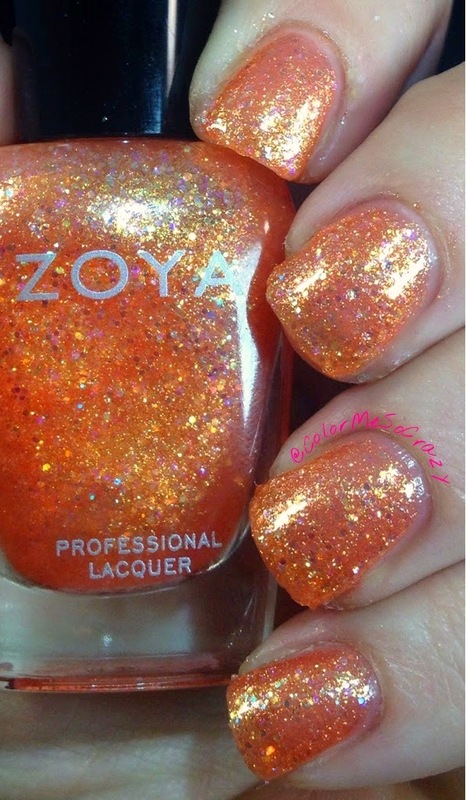 I am so not an orange girl, but this color is super pretty. It really leans more towards the orange side instead of the pinkish side of coral. 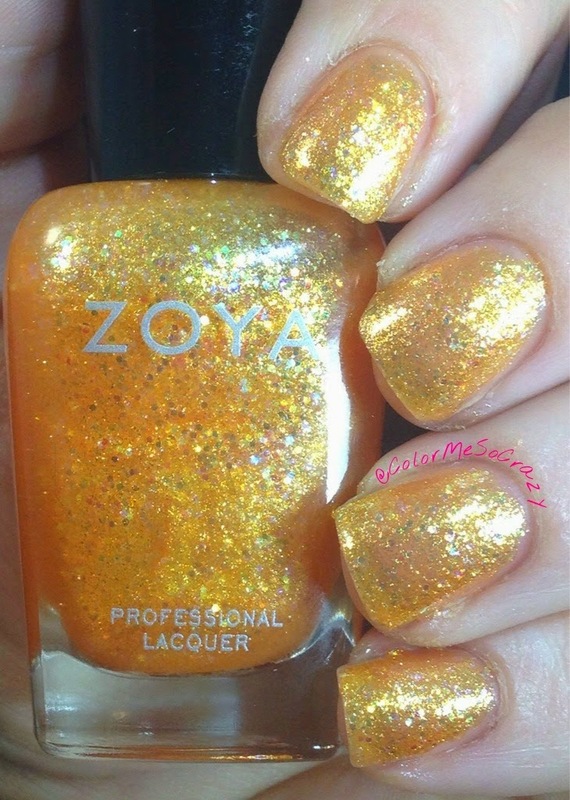 Alma can be best described as a "warm golden peach metallic featuring the exclusive liquid-metal holographic jelly formula". Alma is fully opaque in 2 coats. I used 2 because that's my lucky amount. 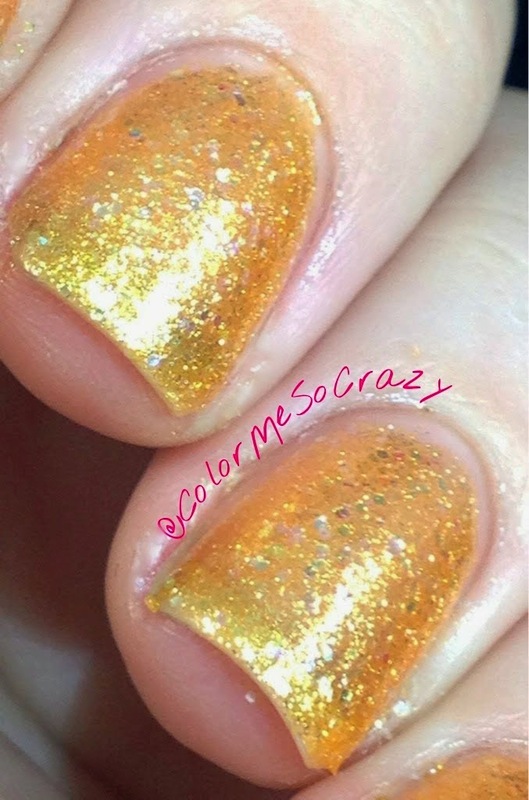 "Perfectly balanced between yellow and orange, this shade flatters most skin tones!". Yellow usually looks horrible on me, but this isn't so warm that it reddens out your skin.